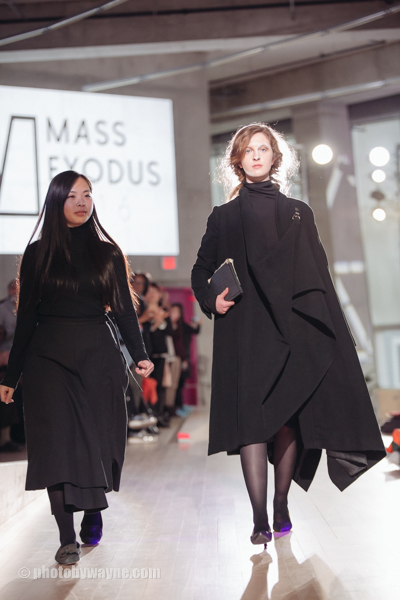 Mass Exodus is an annual fashion show organized by students at the Ryerson university. It is the world's largest student-run fashion show. The event showcases work by graduating students from the school. This year's event was held inside the new Ryerson student learning centre in Toronto. 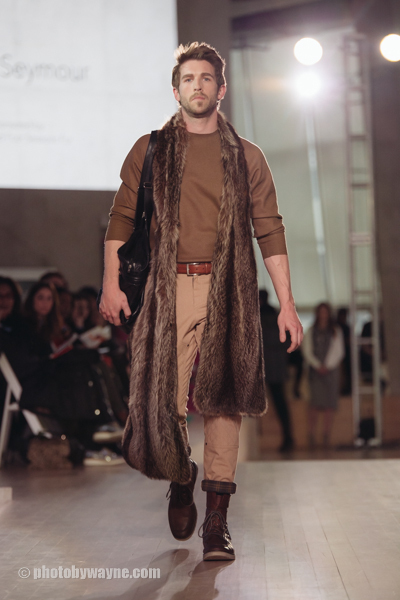 The Ryerson school of fashion has been a top fashion school in North America for many years. Last year, it came in 12th in the global fashion of school ranking. 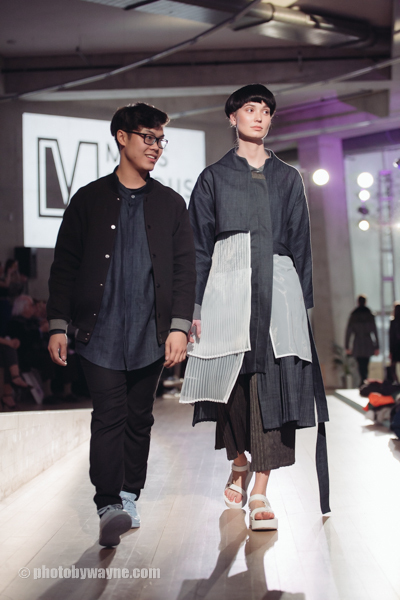 Over the years, the school has produced a number of successful fashion designers. Some of the notable alumni include Erdem Moralioglu, Jeremy Laing, Lucian Matis and Sarah Duke. In the past, I have covered major fashion events in Toronto and Montreal as a news photographer. The venue for this event is unlike any I have been to. Typically, a fashion show is anchored with one long runway in the middle, with attendees sitting on either side, and media people at the end. This show's venue can be described as a large room with uneven stair cases. If you view from the above, the runway resembles a big Z shape. I positioned myself at the end a stair case and shot the curated show from there. The light in the background works in my favor because it separates the model and the backdrop. Here are some of my favorite shots from the show. All photos from the curated show can be seen at the Mass Exodus 2016 gallery.